Duckett - Gannets for Guano EP. Vinyl 12. Bleep. Interesting left-field techno in the Sued vain here from Duckett, though with a distinct UK edge that makes it fall in line with the less heads down, more tongue-in-cheek elements of the Greta Cottage Workshop crew (with whom he is affiliated). 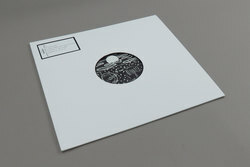 Across the four tracks on the Gannets for Guano EP he shows off a versatility that highlights his 15+ years of production experience, fluctuating between moods and tempos yet keeping a prominent style. Recommended gear for DJ’s who aren’t afraid to have a bit of a fun!